More than three-quarters of the sea ice formed in the Arctic Ocean melts before it leaves its ‘nursery’, warns a study that reveals the “extreme” scale of climate change. The dramatic loss of ice in the Arctic is influencing sea-ice transport across the Arctic Ocean, according to the research. 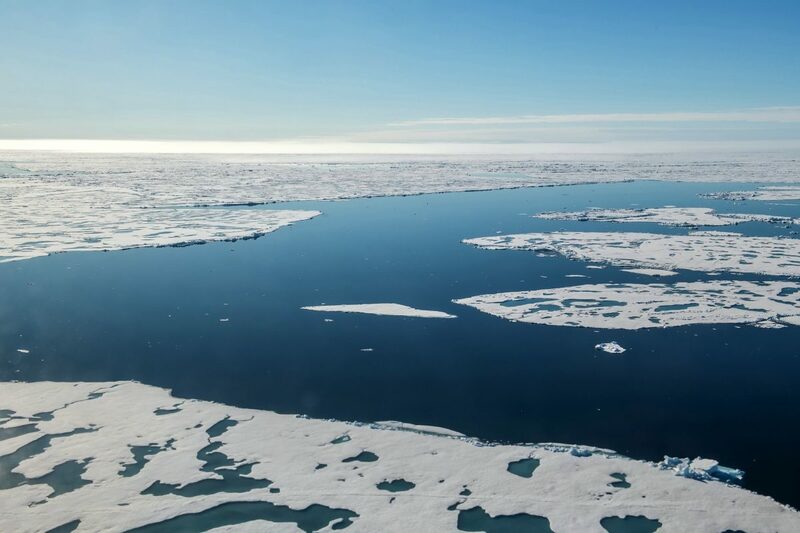 Experts found that only 20 per cent of the sea ice that forms in the shallow Russian marginal seas of the Arctic Ocean today actually reaches the Central Arctic where it joins the Transpolar Drift, a major current of the Arctic Ocean. The remaining 80 per cent of the young ice melts before it has a chance to leave its ‘nursery’. Before 2000, that figure was 50 per cent. 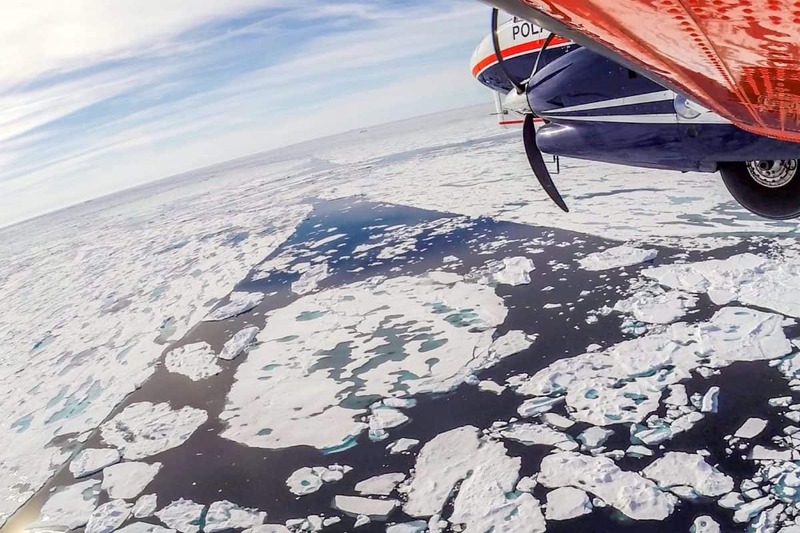 The development not only takes us one step closer to an ice-free summer in the Arctic, according to the researchers, but as the sea ice dwindles, the Arctic Ocean stands to lose an important means of transporting nutrients, algae and sediments. The shallow Russian shelf or marginal seas of the Arctic Ocean are broadly considered to be the ‘nursery’ of Arctic sea ice: in winter, the Barents Sea, Kara Sea, Laptev Sea and East Siberian Sea constantly produce new sea ice. 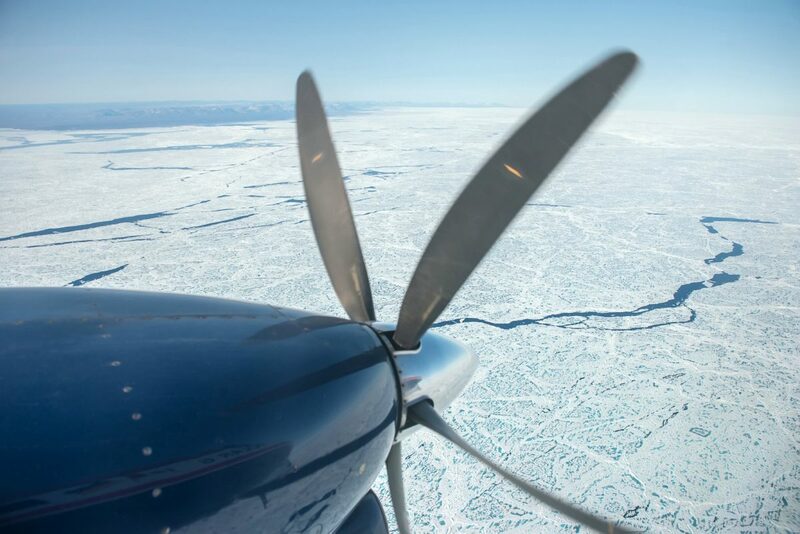 That is due to extremely low air temperatures down to minus 40 degrees Celsius, and a strong offshore wind that drives the young ice out to the open sea. In the course of the winter, the sea ice is eventually caught up in the Transpolar Drift, one of the two main currents in the Arctic Ocean. In two to three years’ time, it transports the ice floes from the Siberian part of the Arctic Ocean, across the Central Arctic, and into the Fram Strait, where it finally melts. 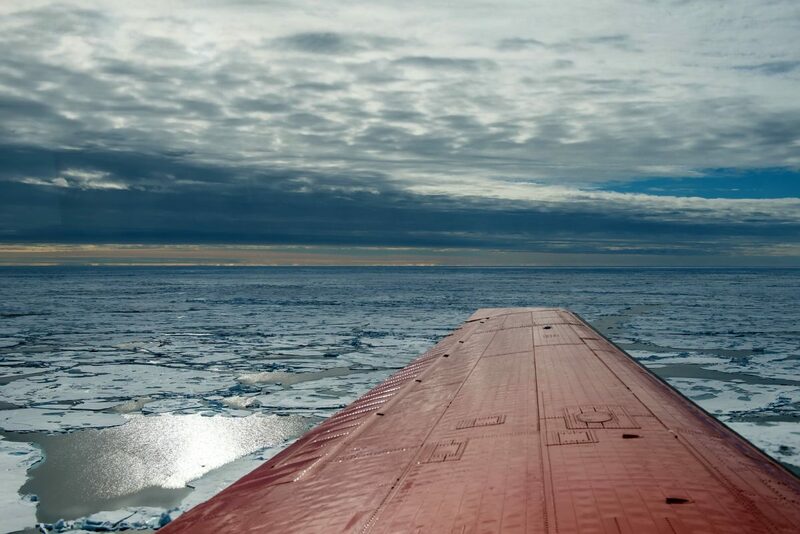 Two decades ago, around half the ice from Russia’s shelf seas made this transarctic journey. Today only 20 per cent does; the other 80 percent of the young ice melts before it can become a year old and reach the Central Arctic. Experts from the Alfred Wegener Institute, Helmholtz Centre for Polar and Marine Research (AWI) in Germany came to that conclusion after monitoring and analysing the sea ice’s movements with the aid of satellite data from 1998 to 2017. Study first author Dr Thomas Krumpen, a sea-ice physicist at AWI, said: “Our study shows extreme changes in the Arctic: the melting of sea ice in the Kara Sea, Laptev Sea and East Siberian Sea is now so rapid and widespread that we’re seeing a lasting reduction in the amount of new ice for the Transpolar Drift. “Now, most of the ice that still reaches the Fram Strait isn’t formed in the marginal seas, but comes from the Central Arctic. This trend has been confirmed by the outcomes of sea-ice thickness measurements taken in the Fram Strait, which the AWI sea-ice physicists gather on a regular basis. Dr Krumpen said: “The ice now leaving the Arctic through the Fram Strait is, on average, 30 per cent thinner than it was 15 years ago. “The reasons: on the one hand, rising winter temperatures in the Arctic and a melting season that now begins much earlier; on the other, this ice is no longer formed in the shelf seas, but much farther north. He said those ice floes that the Transpolar Drift still carries to the Fram Strait are for the most part formed in the open sea, in regions of the Arctic Oceans far from the coasts. Consequently, compared to ice from the shelf seas, they contain “significantly fewer particles” such as algae, sediments and nutrients – because waves, wind and tides stir up far more particles from the seafloor in shallow coastal zones than on the high seas. Whereas in the past sea ice from the shelf seas transported this mineral load to the Fram Strait, Dr Krumpen said that today the melting floes release it on their way to the Central Arctic; what reaches the Fram Strait is less material, and with a different composition. In the long term, she said the altered sea-ice-based particle transport is likely to produce lasting changes in the bio-geochemical cycles and ecological processes of the central Arctic Ocean. The findings were published by the online journal Scientific Reports.